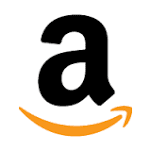 About Us:- Amazon.com, often simply Amazon, is an American electronic commerce and cloud computing company, founded in July 5, 1994, by Jeff Bezos and based in Seattle, Washington. Amazon Electronification Payment Platform team at Amazon India Development Center, Bangalore is looking for a developer to design and build next generation payments solutions that revolutionize the way we do payments on-delivery and convert cash payments into electronic balance. Once built, the entire Amazon India's on delivery payment experience will rely on this real time, highly reliable and scale-able solution. This will provide best in class, unrivaled "at the door step" customer payment experience. This role will require definition/implementation of complex encryption/decryption technologies to securely process transactions at amazon retail scale without compromising customer information. This platform will have multiple innovations (one of them being: building a robust round-trip communication mechanism for closing the loop from on-delivery payments initiation to success and notification to delivery agents for both online/offline use cases). This platform will also be designed to support other emerging economies which have similar requirements like India and the role provides a huge opportunity for the developers to build a strong portfolio of patents for Amazon. This platform will also include defining and implementing India payments specific protocols and multiple other India Payments initiatives being led by NPI. Good understanding of at least some of the modern programming languages (Java, C/C++ ) and open-source technologies (Linux, oracle ).